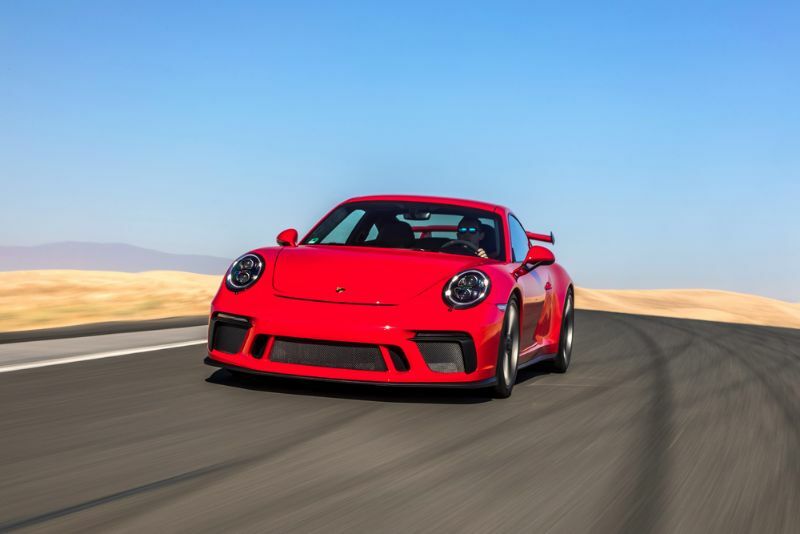 The 2018 Porsche 911 GT3 is among the top configurations for the 911, offering all the performance you could want along with eye-catching styling, a luxurious interior, and plenty of features and options. 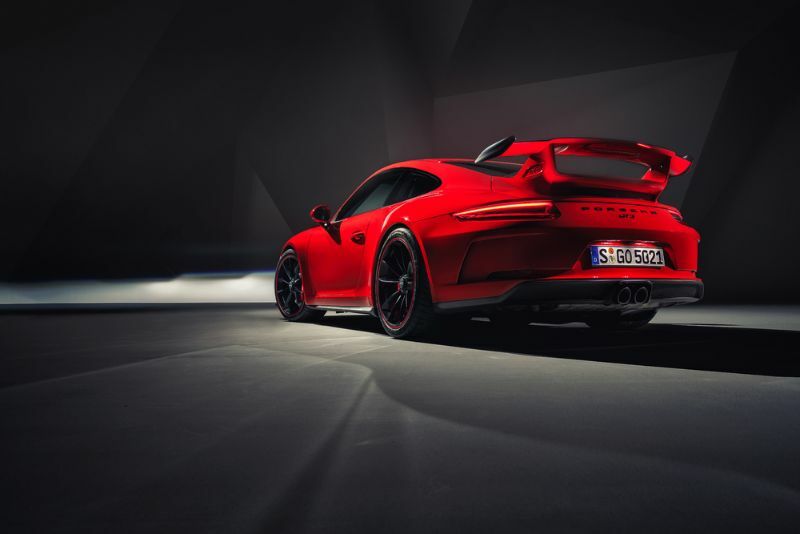 The 2018 Porsche 911 GT3 is made for performance, delivering 500 horsepower with a rear-wheel drive and a zero to 60 mph time of just 3.2 seconds. If that is not enough, consider the Porsche 911 GT3 RS with 520 horsepower and a zero to 60 time of 3.0 seconds. The 911 GT3 RS can reach 193 miles per hour on a track and delivers that peak horsepower at 8,250 rpm. That version doesn’t have EPA ratings yet. The regular 911 GTS has the same revs for peak horsepower but can hit 198 mph on a track. The EPA estimated fuel economy is 16 mpg combined, a reasonable figure given the output. The powerhouse behind the 2018 Porsche 911 GT3 is a 3.8-liter flat-6 with natural aspiration. The GTS only comes with a seven-speed manual transmission since this auto is geared towards automotive enthusiasts. Unsurprisingly, the steering of the GT3 is superb, and the active anti-roll bars let the 911 stay flat on corners. 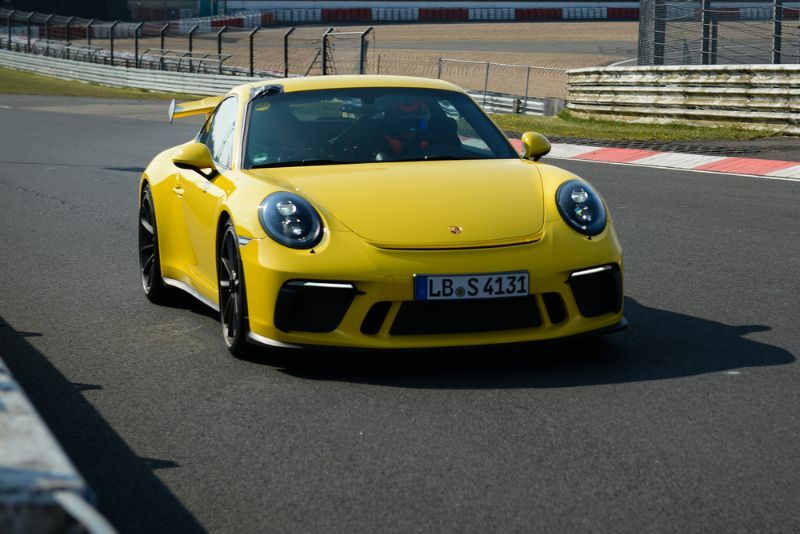 The 911 GT3 has a 96.7-inch wheelbase and is 179.6 inches long and 50.0 inches high, while the GT3 RS is off by 0.1 inch from the wheelbase and 0.2 inch from the length but adds 1.1 inches to the height. The overall styling of the Porsche 911 GT3 is similar to the other Porsche 911 models, including a slight refresh for the rear taillights plus horizontal elements that allow it to look wider and lower. The interior design includes high-quality materials and screens that complement the more traditional layout of the interior. The Porsche 911 GTS is a two-seater, but those two seats are incredibly comfortable. This model comes standard with full bucket seats featuring a carbon-weave finish and carbon-fiber-reinforced plastic. They have great lateral support and a sporty appearance along with electric height adjustment and black leather featuring perforated centers in either black Alcantara or Lizard Green. Or you can choose the sports bucket seats that feature a folding backrest to improve access to the rear. These seats also have manual fore/aft adjustment and an integrated thorax airbag with the same upholstery. There are also Adaptive Sports Seats Plus with side bolsters in leather, seat centers in your choice of black Alcantara or Lizard Green, and the logo on the headrest. These stand out with their 18-way automatic adjustment and ability to individually adjust the backrest and side bolsters. 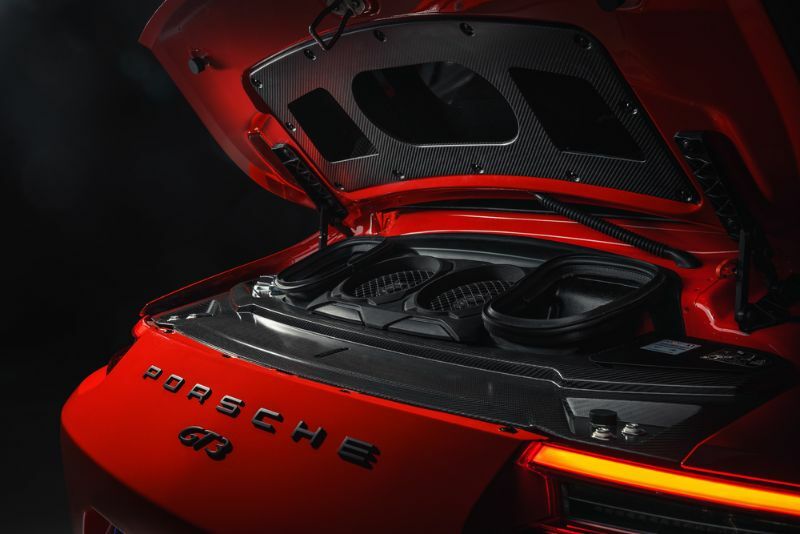 Infotainment in the 2018 911 GT3 comes from the new Porsche Communication Management (PCM) system. It has a high-resolution touchscreen featuring a proximity sensor for convenient operation. You can connect devices via the AUX and USB inputs. Plus, you can use the CD/DVD player, two SD card readers, or internal hard drive. You can also enjoy a version of PCM with Connect Plus for features like an LTE module and Porsche Connect services.